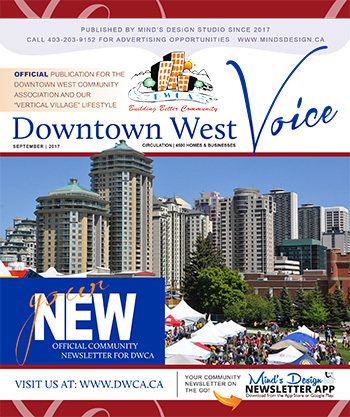 Print version is mailed directly to Downtown West residents and businesses, plus some areas of the Downtown Core. YOU can contribute or advertise! One-time, or ongoing - we encourage both. HERE'S HOW.